Open daily 7 a.m. to 3 p.m. American diner. 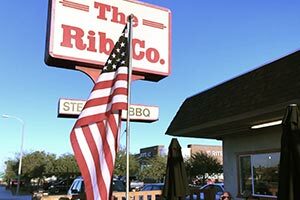 A favorite place for locals and visitors for breakfast and burgers. 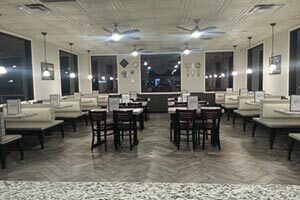 Full breakfast menu, lunch sandwiches, patty/tuna melts, charbroiled burgers, fries, chicken fried steak, steaks, fish and chips. Dine-in, take out. 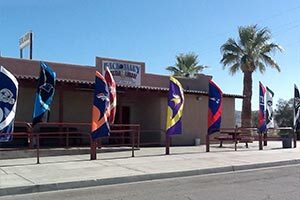 Open daily 8 a.m. to 9 p.m. Mexican food. Breakfast burritos, huevos rancheros, steak, chorizo, quesadillas, tortas, tacos, combo plates, nachos, burgers. Dine-in, take-out. Open daily 24 hours. Home of the Carne Asada Fries. 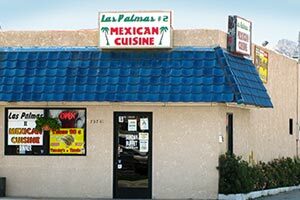 Fast Mexican fare, California burritos, tacos, tostadas, tortas, taquitos, enchiladas, quesadillas, rice, beans, seafood, kids menu, Huevos Rancheros and breakfast plates. 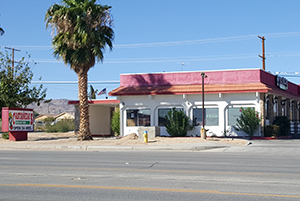 Dine-in, take-out, drive-thru. Open daily 24 hours. 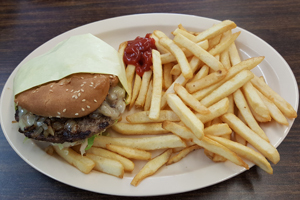 American diner. 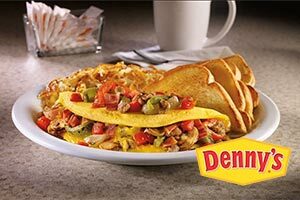 Home of the famous Denny's Grand Slam breakfast, skillets, 100% beef burgers, sandwiches, salads, full dinner entrees. Kids menu and Senior 55+ menu. Open daily 6 a.m. to 9 p.m., open to 10 p.m. Friday, Saturday. Breakfast served all day, lunch/dinner after 11 a.m., baked potatoes after 4. Flat iron steak breakfast, avocado/bacon burgers, sandwiches, burritos, baby back ribs, salads. 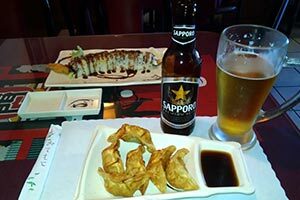 (Located at Rodeway Inn & Suites) Open 3:00 to 10:00 p.m. for dinner Monday through Saturday. Bar opens at 3, kitchen opens at 4. Porterhouse and Rib Eye steaks, sliders, JT street tacos, chicken, pasta. Beer, wine. Breakfast for guests only. 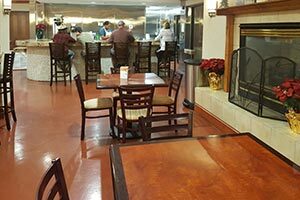 Outdoor kitchen and shaded patio area available for parties and events. 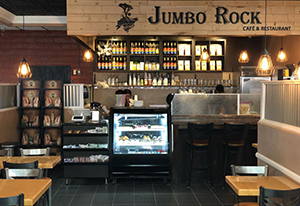 (Inside 29 Palms Liquor & Mobil Gas) Espresso, nitro cold brew, frappes, smoothies, protein drinks, breakfast, Indian food, Kobe beef, salads, wraps, burgers. Free WiFi. Sunrise Menu 6 to 11 a.m., Midday Menu 11 a.m. to Close, Sunset Menu 4 p.m. to Close. Open 11 a.m. to 8 p.m. 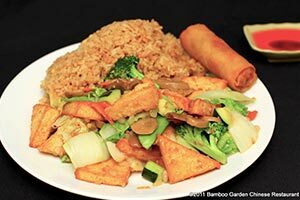 Lo Mein, fried rice, chef’s specials (pork, chicken, duck, beef, seafood, veggie), wontons, egg rolls. Beer, wine, sake, tea. Dine-in, take-out. (Closed Tuesday.) Party catering available. 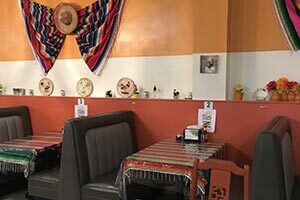 Open daily 10 a.m. to 8 p.m., Sunday brunch buffet served 10 a.m. to 2 p.m. Enchiladas, huevos rancheros, Shrimp VeraCruz, carne asada, tacos, rice, beans, chips and salsa. Beer, wine. Sports TVs. Open daily 11 a.m. to 9 p.m. Lunch, dinner, tacos, burritos, tostadas. Dine-in, take-out, lane-side service. Beer, wine, cocktails available at adjacent Back Alley Cocktail Lounge. 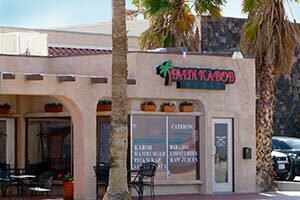 Open daily 10 a.m. to 9 p.m. Mediterranean cuisine. 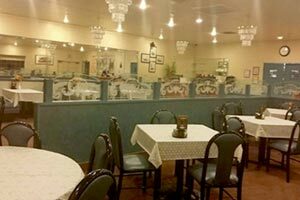 Hummus, pita bread, pita wraps, lamb & beef burgers, lamb chops, rib-eye steak, salmon, shrimp, shawarma, falafels, kabobs, tabouli, gyros, stuffed grape leaves, salads, soup, veggie platters. Beer, wine, fresh juices, smoothies. Kids menu. Combos and take-out family trays. 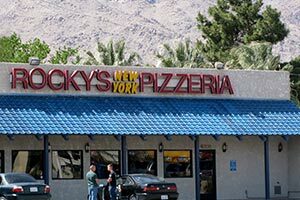 Delivery to the Marine base and 29 Palms. Catering services available. Open for dinner daily at 4 p.m. (lunch at 11 Friday, Saturday, Sunday). Mesquite BBQ ribs, grilled steaks, chicken, seafood, lamb chops, meatloaf, burgers, salads. Beer, wine. Catering available. Call Lisa Hill (760) 365-1663 to inquire about catering services. Open 11 a.m. to 8:30 p.m. (to 9 p.m. Friday & Saturday). 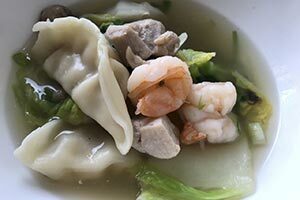 Chinese and Vietnamese food. Sweet and sour chicken/beef, Mandarin chicken/beef/shrimp, Mongolian beef, chop suey, pepper steak. Dine-in, take-out. Family meals and party trays available. Open daily 11 a.m. to 9 p.m. 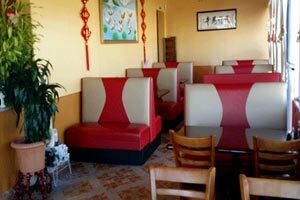 Lo mein, chow mein, chop suey, fried rice, egg foo young, chef specials, combination dinners, appetizers, soups. Ask about our Tapioca Milk Tea and Snow Bubbles. Beer, wine. Dine-in, delivery. 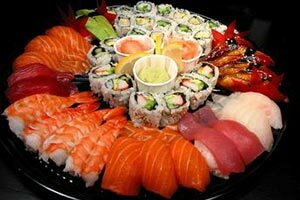 Take-out party trays available.